We gather to celebrate the 4th Sunday of Advent at 10 am on December 24. Our Christmas Eve celebration begins at 6:30 pm. We will sing Carols, participate in Communion and end with Candlelighting. Come celebrate the wonder of God’s gift to us, Jesus. 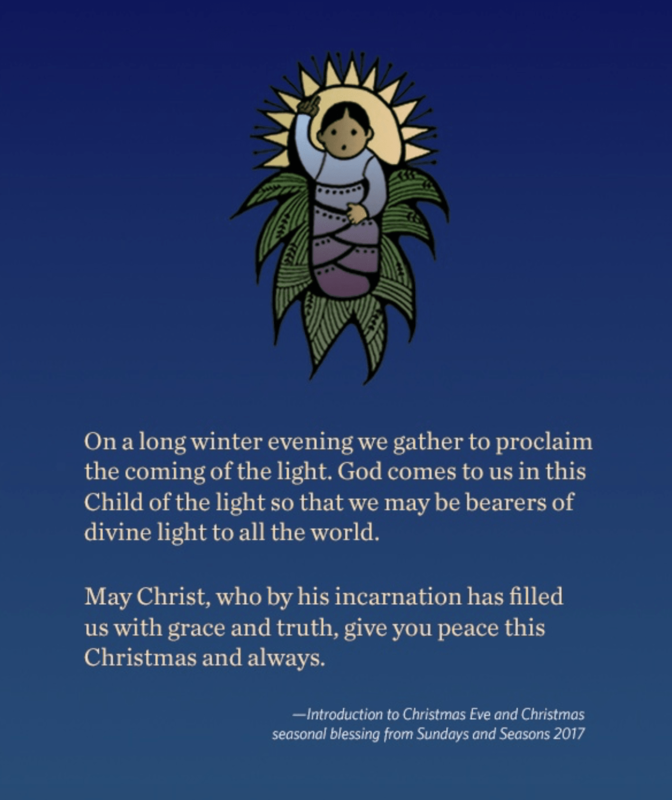 St. Luke’s Lutheran Church will have Christmas Eve Worship Service at 6:30p.m., bringing family and friends together to celebrate the wonder surrounding the birth of Christ. We will sing “Silent Night” by candlelight as part of our Christmas tradition. Christmas morning service at St. Luke’s Lutheran Church is at 10:00a.m. May the Peace of Christ surround you this Christmas season. Volunteers shared baked goods with the Fire Station. 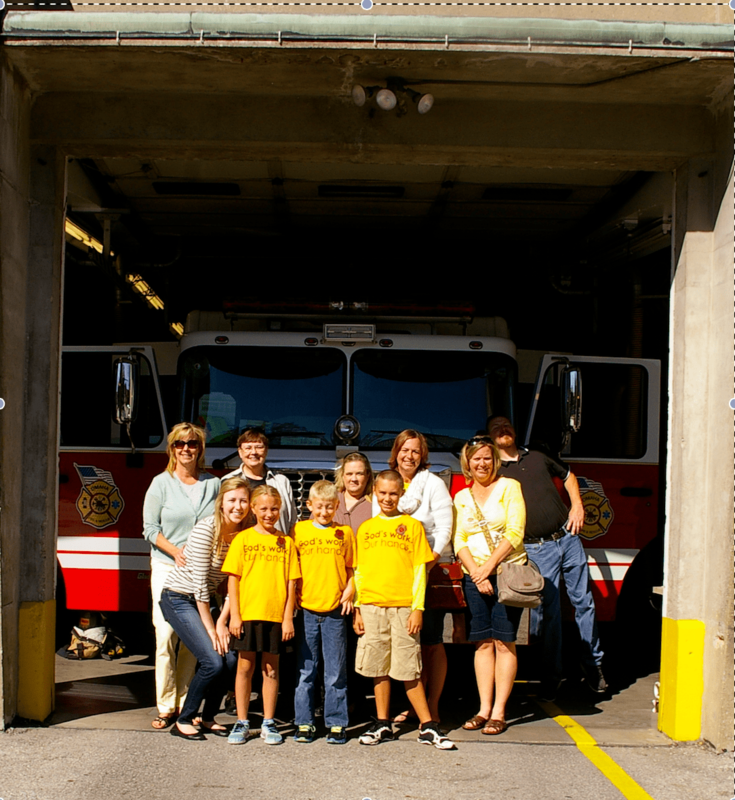 The Fire Fighters gave the volunteers a tour. Smiles all around. You are invited to take action as the sign indicates. 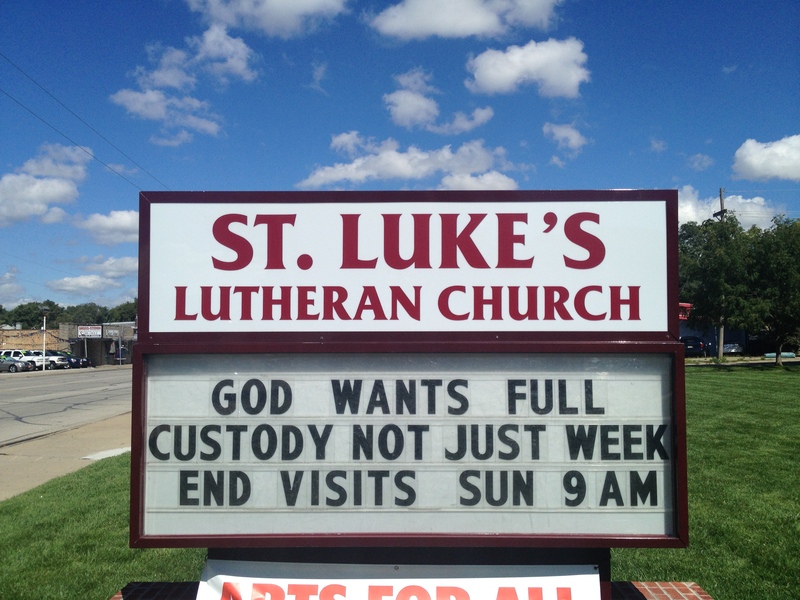 St. Luke’s Lutheran Church welcomes you to its web presence. Thank you for visiting our page. Please like us on Facebook and follow us on Twitter. Our desire is to reach out in love, seeking ways to serve and welcoming all in the name of Jesus. Copyright © 2019 St. Luke’s Lutheran Church of Omaha, NE.